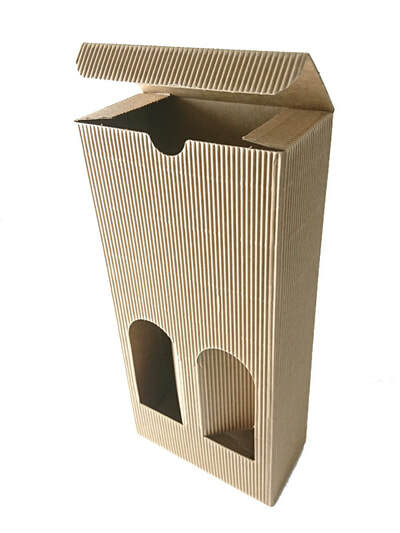 We have recently received the very welcome news from our supplier that all of our prices are being reduced . . . I know! So, of course, we are passing that straight onto you. This isn't just a few pence thing - many prices, the majority, have gone done by several £££££s per box. Hard to believe I know, but there we are, miracles do happen. I am not going to delay you further as I am certain you cannot wait to stampede over to the website to check the prices of you fav jars and bottles. er. . . . .Spring? Well, I could talk about snow, show you pictures of our snow, ask for pictures of you snow . . . but I prefer to think that this is just a blip and that Spring is on it's way. We have Mother's Day coming up, quickly followed by Easter and before we know it the Summer fruits will be arriving, we will have balmy, sunny days and bluebirds will be over the white cliffs of Dover. May be. So I have devised a Designer Pack for the Summer Frocks Collection which would make an ideal gift for a preserving Mother's Day gift - either buy one for your Mother or drop very precise hints if you would like it for yourself! 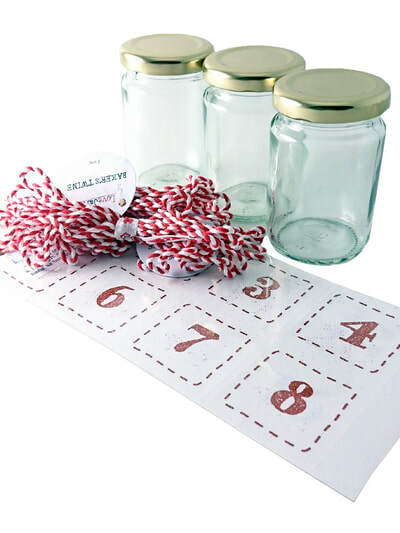 See the video below to see what is included ( not the jars - they are special acting jars) The contents, details and price is here. Great price, easy to post, huge fun for a dedicated preserver. 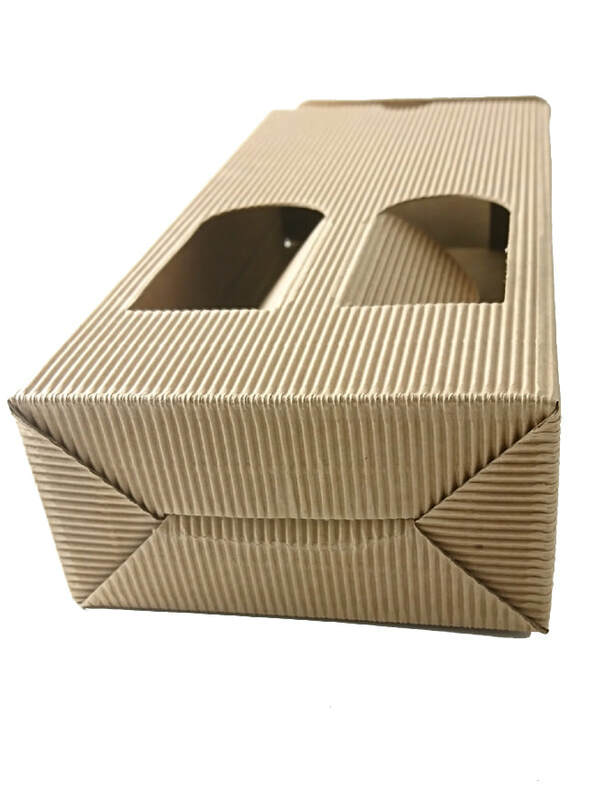 We also have the popular Summer Frocks lids on special offer for the upcoming holidays so if this is a lid that you use regularly, now is the time to stock up. Finally, if you are snowed in, it would be a very good opportunity to overhaul your stocks of jars ready for the coming season. 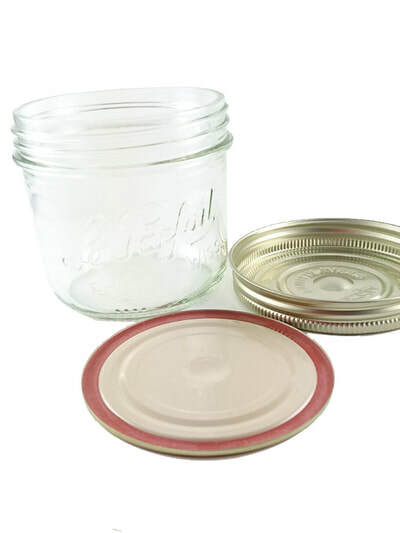 Make sure your lids are still in good condition and that you have all of the equipment you need ready. We still have lots of bargains and great prices on the website to take advantage of and you can be ahead of the game when the weather improves. Rosie Update . . . . and Marmalade! y Well, it's been a while and you are probably thinking that I have disappeared! Sadly at the end of last year I was diagnosed with breast cancer and life went into a bit of a tailspin. As most of you who are regular customers know, we are a very small company - just me and Trev really, with help from my son Rob, so the pressure this has exerted has been immense. Day to day orders have for the most part been fine, being monitored and processed between us but the development of offers, showcasing recipes and all of the other things that I do - largely unsung - behind the scenes have had to go onto the back burner for a while. I underwent a surgery in November which highlighted further problems so this was followed by a mastectomy on 21 December - which made for an interesting Christmas. Histology following that op has found further problems so I have just entered the chemotherapy programme, with the first of 8 cycles being given last week. So far I feel fine, the problems have been minimal but I will have to see how we go. After chemo I am planned to have a course of radiotherapy and I have decided to have the second, preventative mastectomy at the end of it all for peace of mind. So, this is going to take a while, have ups and downs but we will endeavour to still do our best and may be think of new and innovative ways to take everything forward, because needs must. All good stuff. The first of this is online courses. I can't be committed to my physical classes quite so much at the moment so we are recording the classes as an online format which you can access and join in with wherever you are, whenever it suits you. The first is How to Make Marmalade and you can find out just how easy it is for yourself. There are lots of hints and tips, quality advice and ways to vary the recipe to include different flavours. Once you have signed up to the course you can use it over and over again so is excellent value for money. There will be downloads and other information as time goes by to help build your skill and expertise. I hope that you like the new things to come - and, of course, we will still be bringing you offers and bargains as they arise. Well, you answered my question - thank you. We have decided to ignore Black Friday and carry on what with what we do all of the time. Bring you great deals as a matter of course and show you interesting ideas. 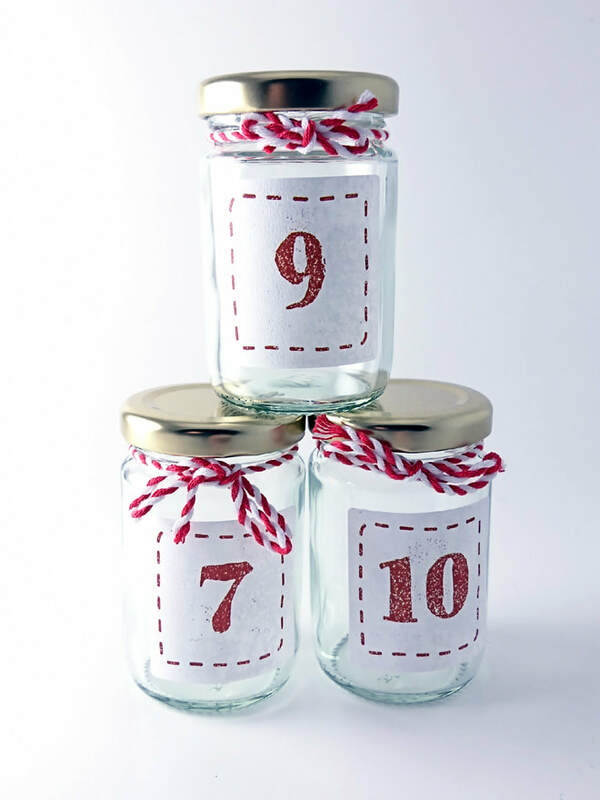 First up this week is a perpetual Advent Calendar. We have boxed 24 small jars and gold lids with a pack of numbered labels and some Christmassy red and white baker's twine. 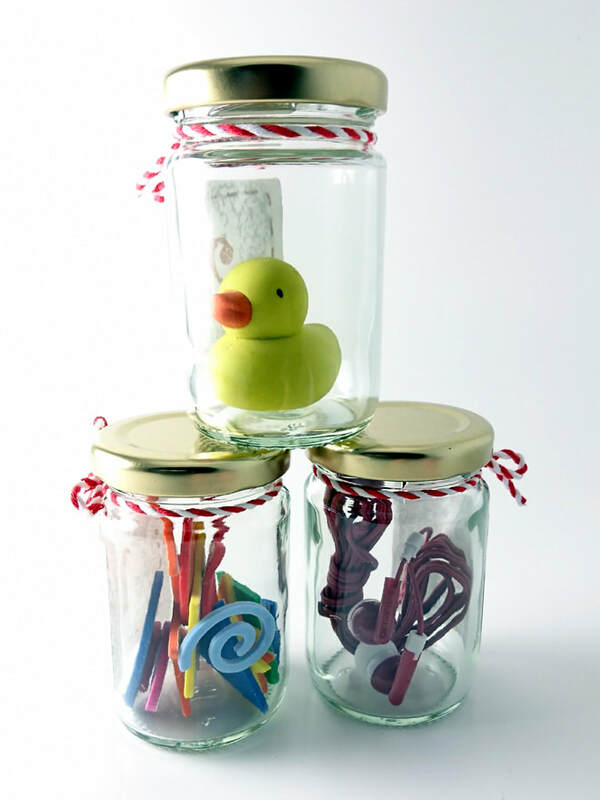 The jars can be filled with small gifts of your choice to suit the age of the recipient and they don't need to be expensive. Once emptied the jars can be stored to be used again next year, and the year after. Watch my helpful video and then grab a pack before the end of the month. The Bumper Christmas Jarcessorise Pack has 50 elements from the festive jar decorations at just HALF PRICE. 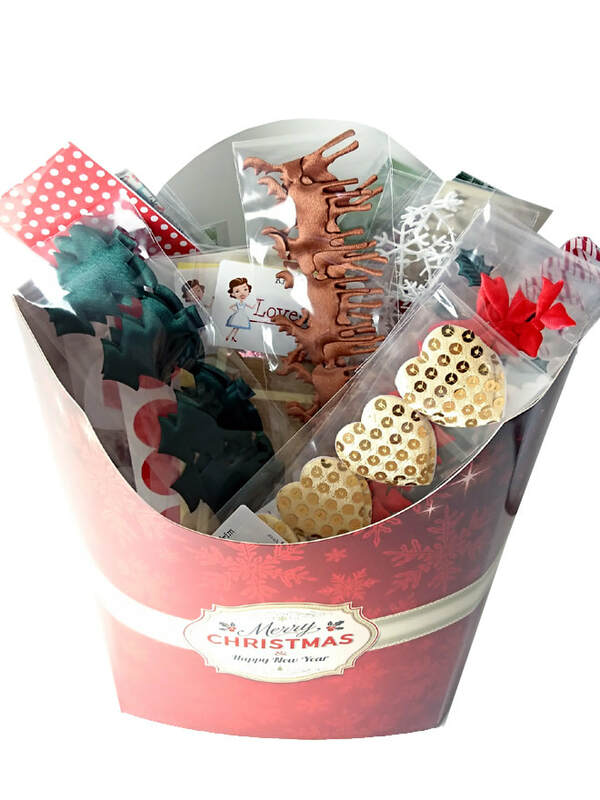 The contents are all current stock and will bring a festive look to your home made gifts. 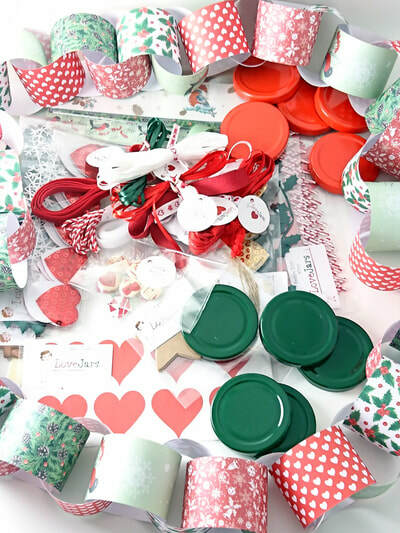 there are jar wraps, trims, ribbons, raffia, buttons, tags and jar lids. We've even made some paperchains . . . . Finally - a brilliant addition to our packaging range - the two bottle kraft box. Excellent value at just a £1.00, your home made gifts can look really smart or if you are a producer, these sit very well on a shelf or display stand. Particularly good as they have a flat top. Advice Please . . . . It's that time of year again. No not Halloween. Not Bonfire Night. Not Christmas . . . .
Black Friday. November 27th. The Day of Madness. The thing is - as a company we need to join in. This has become A Thing. Not something you can ignore or avoid. Our problem is we give you the very best prices all the year around. You can believe it or not, there is very little room for us to reduce anything, or make outrageous offers. We can't offer free carriage, for instance, or we would be selling everything at a loss. Any cheaper things we could buy in specially would sap our integrity - we made the decision in the early days to only sell things we believed in, that we would use ourselves. We are constantly undermined by our competitors, the market is flooded with cheap glass from China which isn't necessarily food grade glass. Of products that are just a gimmick, don't last, and of poor quality - but how are you supposed to be able to tell them apart? You can trust what we do every single day, how hard we work to maintain the standards, to not compromise on quality but always to bring you savings where we can, to offer what we can. How then, do we cope with Black Friday? What can we offer you that will fit our criteria of only buying quality and selling at a fair price? I admit we are stumped. Perhaps you can advise, tell us what you want to see us achieve, and we will do what we can. The proviso is though, that we would prefer not to only do that on one day in the year. Having said all of that, this week we have a new range of Italian bottles - Quattro Stagione. 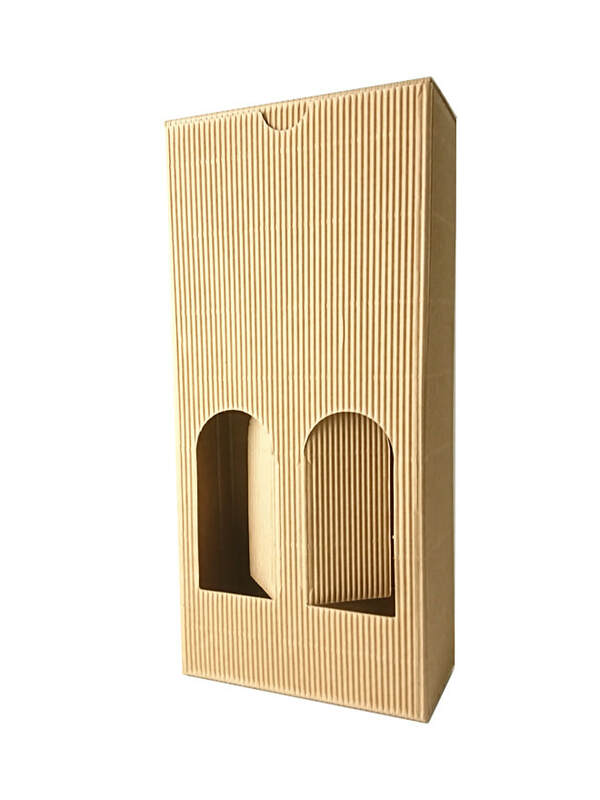 There is a set of four 150ml squat bottles, and also a 1200ml, 400ml and 1000ml. They are well priced, easy to fill, easy to empty and very smart with the embossed name on one side and a fruit design on the other. 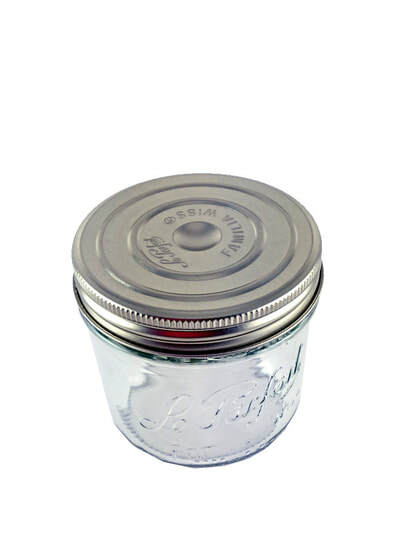 They have a continuous screw cap and are ideal for sauces etc and bottling/waterbathing. 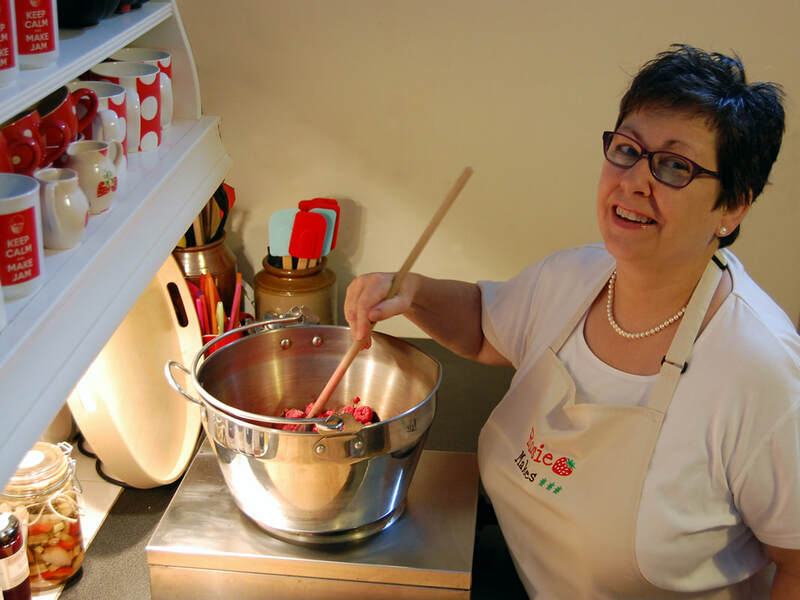 It's a busy time of year but still time to get some presents or preserves made. Have fun! Congratulations to Lisa from Scarborough who was the lucky winner in our dehydrator competition. I hope she enjoys it and gets many year's use from it. Look out for another competition coming up soon. I have been very busy with Classes at Jam Central so not much time for making and facebook live filming this week. We started off last weekend with a visit from a 60th Birthday Party. They were staying locally in some wooden lodges in the grounds of a hotel overlooking Rutland Water. The guests had arrived from all over Europe and had a drinks reception on the first evening, in Oakham Castle. The next day they were dispersed across the county to shop for the birthday barbeque in the evening. Some went in search for wine, some for meat from the local rare breed farm, some for lovely cheeses and quite a number came to the little Old Smithy to buy preserves as gifts to take home and to eat with the meal. It was quite a hectic couple of hours but I thought it was a charming and original idea, one I hope I will remember for the future. We have also held a Professional Day in the week, I always enjoy these days and hearing about everyone's plans for the future. Yesterday it was a class for would-be home preservers amongst which there was a couple who had been given the class as a Christmas present last year. Seems like we are popular in the celebration market! I did manage to get a fatless mincemeat made this week, which tastes delicious. It is a variation on the Luxury Mincemeat I make which has a fair amount of butter in it and I have called it Marjorie's Mincemeat. This is because it is based on the deep red Marjorie Plums and it looks gorgeous. I keep being asked for a vegan mincemeat so this is my response - I will get the recipe written up this week and post it for you. I feel guilty that I have no particular offer for you this week - so how about a discount code for the next week? Just enter CELEBRATE at the checkout for a 10% reduction. Our mega competition is still running - you will be entered into the free draw as long as you are a member of Rosie's VIP Club for this splendid Excalibur Dehydrator worth £298.99! "How can I join?" I hear you cry. Well if you are not already registered on the lovejars website then all you have to do is sign up for our newsletter. That's it - no purchase necessary. 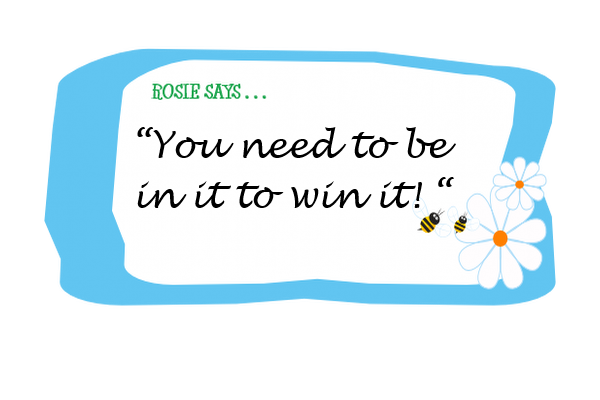 The draw will close at 23:59 on 30th September - Rosie's birthday - and a winner drawn at random. Don't be left out - sign up now! Jam Making in my Blood? 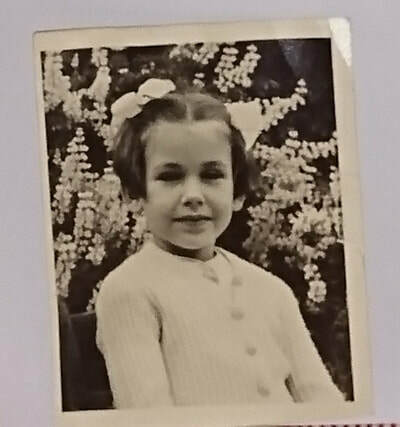 The picture on the left is me, aged 5, when I first went to school. I was already an experienced jam maker. 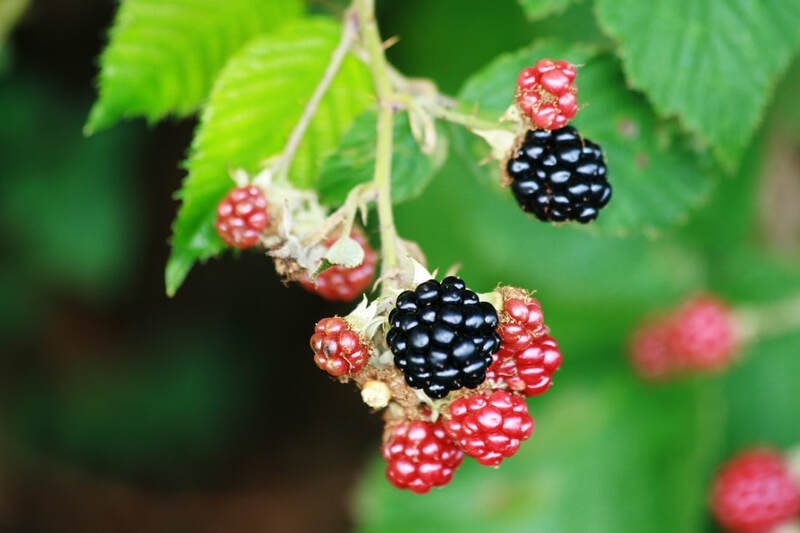 I knew all about waxed discs and setting points, what fruit made good jam and where the best blackberries grew. I loved it. We had a curmudgeonly cat called Dilly, who insisted on joining us on blackberrying trips, She would pad along beside, complaining all the way and eventually tuck herself into the hedgerow and wait for us to come back. 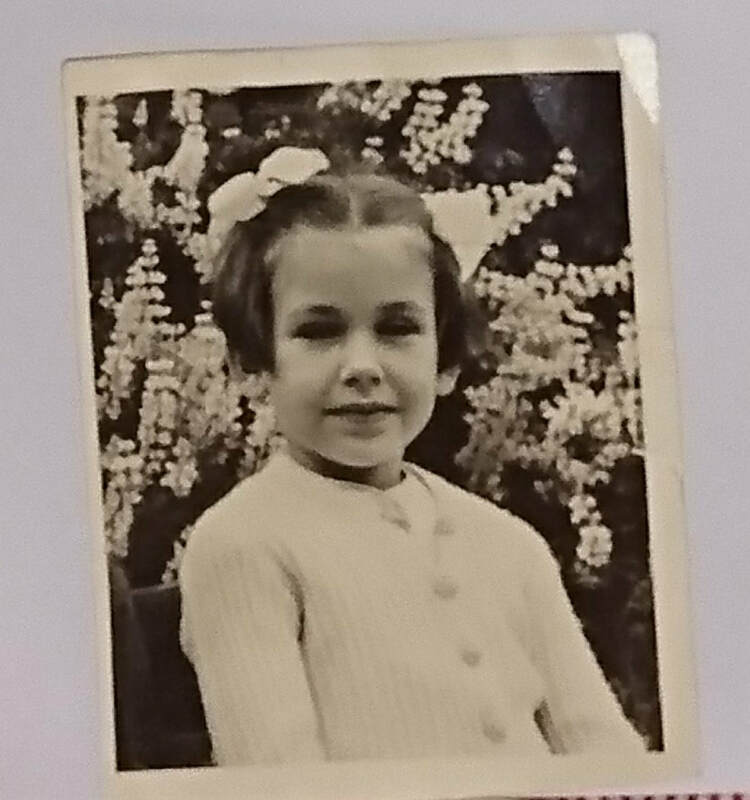 It was my specific job to hand my mother the waxed disc, then dip the cellophane covers into a saucer of water and shake off the excess, and then hand her the rubber bands. When I went to bed on a Summer's evening I could hear the cellophane covers 'pinging' as they dried. It was the soundtrack of my childhood. Have you signed up for our VIP Club yet? Our VIP Club delivers new products, special offers, competitions, recipes and advice via our newsletter. If you are a customer with a log in you will receive the newsletter already and be a member of the VIP Club. If you want to leave at any time - :( - then just unsubscribe. We will never hassle you or pester you - the newsletters are communication between two like-minded groups - its just that your group is bigger than ours! All of the offers are genuine and designed to add value to our website. 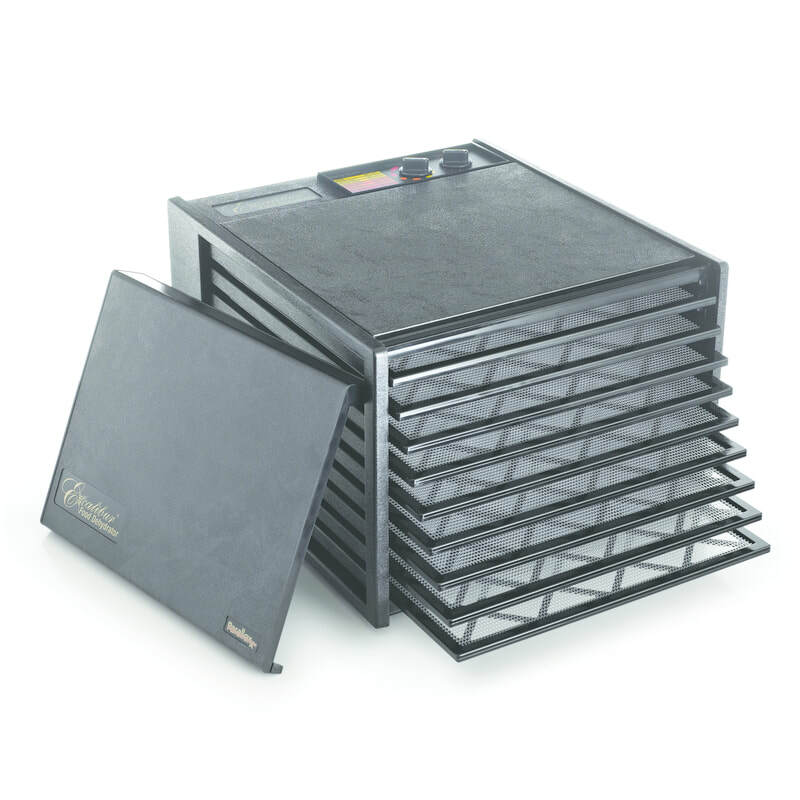 The VIP Club is free to join - at the moment - but this will not be the case in the future as we have big plans . . . .
Excalibur Dehydrator worth £298.99 !!! 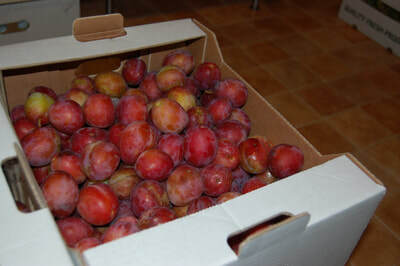 This week has been so busy - I have been tackling the glut of plums arriving at my doorstep from generous neighbours - I hate to see them going to waste so it has been a full-on process to get them all preserved. We have plum jam, winter warm plum chutney, plum and cinnamon cordial, plum and ginger cordial, plum leather and one of my most popular products for Christmas - plums in brandy. I prep the plums by cutting in half, discarding the stone and any plums that were not sound. I pack them into the Le Parfait jars as tightly as possible together with a star anise and cinnamon stick. Pour over a sugar syrup leaving room to add aound 50-80 mls of brandy whilst leaving around half an inch/3 cms of headspace. Clip down or seal the jars and process in a waterbath or, in my case, the www.lovejars.co.uk electric steriliser, for about one hour. The plums get poached without cooking so much they end up as a mush. 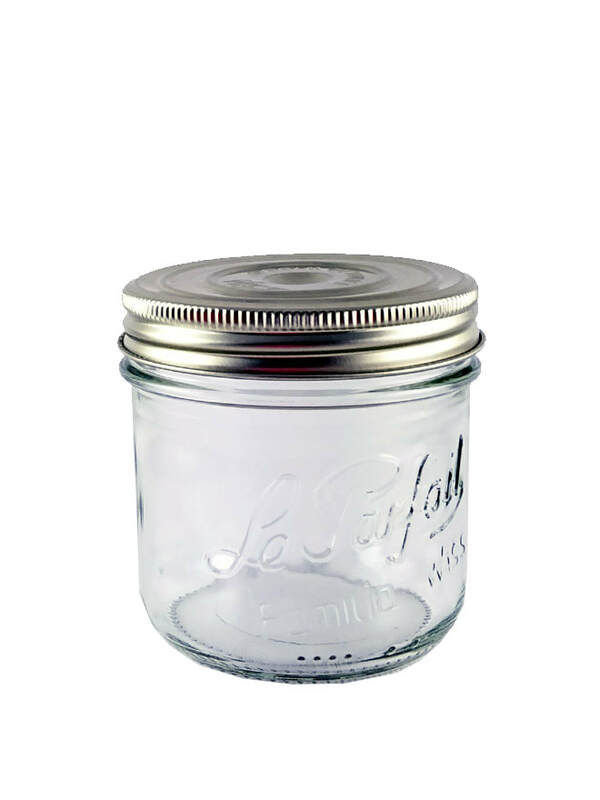 We have a new size for the two-part seal Le Parfait jars - a very cute 500ml. It is strong and robust and the perfect size for family-size pies and crumbles. I am definitely going to be cooking some of the windfall apples from my ancient apple tree in the garden. I love stewed apple just on its own or with some custard - delicious. I don't add any sugar at the preserving stage in case I want to use it as a savoury apple sauce. I just stir in some caster sugar if needed - taste it first. The new Le Parfait have a VIP price if you are a logged-in customer, so get a box now and they will be a purchase that lasts a lifetime. 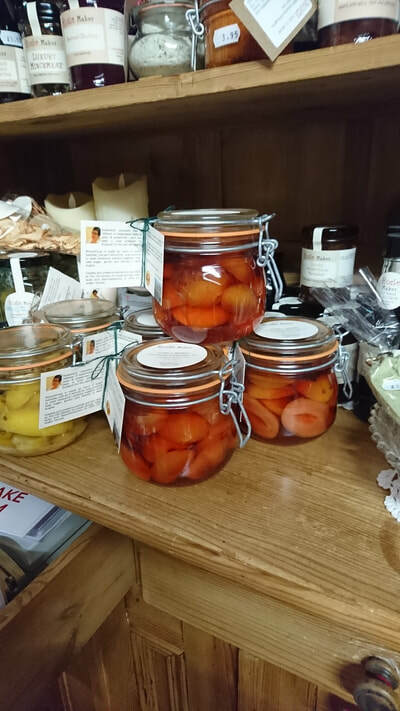 These jars weren't in when I made the Plums in Brandy - I will use them for something very soon though - that's a promise.